Discussion in 'Amateur Radio News' started by KQ4KK, Sep 13, 2018. South Carolina ETV just completed a segment on the importance of HAM radio during a storm. Includes footage of SCHEAT members in Columbia SC, and the Schofield Middle School, Aiken SC Ham club. NK4K, PD0JBV, KB7THL and 4 others like this. We will see once again the paramount importance of ham radio with the unprecedented flooding presently imminent in the Carolinas. Unfortunate that natural disaster dictates that need. Wishing all safety through the storm! KE0DZW, NE1U, MW1CFN and 5 others like this. No, it's SC HEART -- South Carolina Healthcare Emergency Amateur Radio Team. NE1U, N2NH and N4NYK like this. KF4ZKU, W7DRX, KC3IJL and 1 other person like this. W6ERM, WA1SFH, KF4ZKU and 1 other person like this. I am truly sorry I made a mistake. The correct acronym is SCHEART. Tho, SCHEAT has a certain ring to it<g>. Anna, KN4IVD, the young YL in the piece just got her General license, along with her father. And he went out and bought "them" a new ICOM 7300 for their home station. NK4K, KE0DZW and LU9OFE like this. 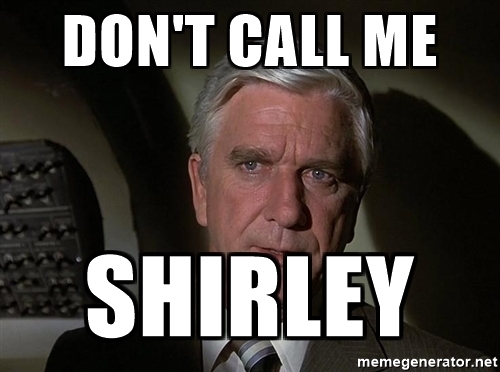 I love it when so many different events lend themselves well to "Airplane" movie quotes. Actually, it sorta took the edge off a very serious situation for a short time. It looks like the volunteers down there will be needed for quite some time after the storm passes, too. I know lots of us really appreciate the effort these hams put into ECOM service!! WA1SFH, N8PSI and KF4ZKU like this. Why is this man sorry? Thank you for your contributions Kent and keep on keeping on, despite the fact that there are so many perfect people on here!! N2NH and K9CTB like this.